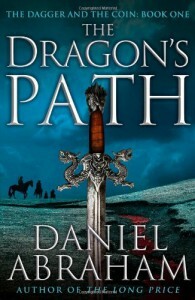 Full review on my blog - http://abitterdraft.blogspot.com/2013/07/review-dragons-path-by-daniel-abraham.htmlThe Dragon's Path by Dan Abraham was an interesting read for me. I hadn't read the Long Prince Quartet, so I was new to his writing style. I've grown accustomed to the multiple POV stories, and I tend to lean more toward those when picking a new book. Being a fan of A Song of Ice and Fire (unique, right? 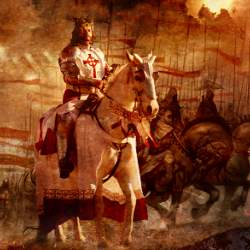 ), I read reviews that told about how much of the novel was political battles rather than real ones. This can be offputting to some, but I think Abraham nails it nearly as well as if not as well as Martin or any other author that does the same.The Dragon's Path is also different from much recent fantasy in that there aren't really any knights or dragons(yet?). In their place are mostly mercenaries as well as priests of the Spider Goddess. To go along with the political maneuverings of the lords and ladies, Abraham weaves in a full economic system. Now I'm no fan of economics, so reading about contracts and sponsorship and other economic maneuvers was not very interesting to me, but Abraham weaves it through between other more interesting things to make it readable. There are something like thirteen different "races", all variations of humankind, also known as Firstblood and Abraham describes them more and more throughout the novel in ways like "the Tralgu flicked his long ears" or "the Kurtadam's baubles rang as he walked" so that you don't forget what the racial differences are as most would if they were described once at the beginning. The magic was more or less nonexistent from what I could tell. I enjoyed Geder's chapters the most. Seeing a bookworm attempt to adjust to war and being dragged through the world as a pawn in games he doesn't fully understand provided for an interesting arc to follow. I won't do a plot summary because most other reviews have them as well as a decent one in the description up top.Since this is considered "epic" fantasy, the first is always the setup used to flesh out the world and the characters. All things considered, I look forward to reading the second in the series and the rest as they are released. Fans of Martin or any other non-military fantasy author should definitely give this a read, though I love fantasy as a whole so I suppose any fantasy fan should read it. 4 stars.